Click here for audio of Episode 1686. Today, a story about theory and practice. The University of Houston's College of Engineering presents this series about the machines that make our civilization run, and the people whose ingenuity created them. 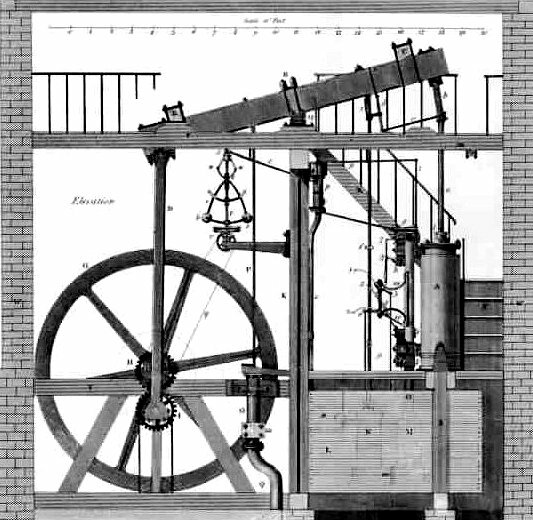 The invention of the steam engine began in the mid-1600s, and it didn't find solid footing until just after 1850. James Watt's huge contributions to its development came fairly late in the game. They began in the 1760s. Thermodynamics, the modern science of heat, was largely driven into being by the steam engine. It began taking its modern form just before 1700, and it finally found solid footing after 1850. The story of thermodynamics and the steam engine is really a story about theory and practice finally making peace with one another. Historian Richard Hills helps us understand the situation. Suppose you lived two hundred years ago, and you came upon an early steam engine. What would you see? A connecting rod moving up and down in a big piston, driving a rocker arm. The far end of the arm would drive a pump or turn a wheel. You'd see the effects of pressure. You'd see forces exerted. You'd see the effects of flowing steam. As your mind reached for analogies, you'd see something that reminded you of the familiar waterwheel. The burning coal, heating the boiler, was out of your line of sight. Heat flow was not what would catch your attention. This machine appeared to be all about pressure and flow. So scientists struggled to see what made these strange machines work, while practical people struggled to build better engines. Most early steam-engine builders had also worked with waterwheels. Like steam engines, waterwheels turn and turn and do useful work. Waterwheels led our minds away from heat and temperature. One inventor did take a scientific interest in heat. 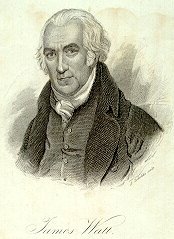 James Watt began as a machinist at the University of Glasgow. He experimented with heat while he talked to thermodynamic pioneer Joseph Black. Watt's greatest steam-engine invention was the separate condenser. What it did was greatly reduce wasted heat. 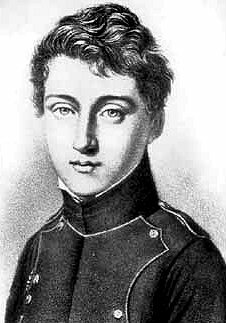 In 1824, the young French engineer Sadi Carnot formulated the second law of thermodynamics. It says that engines can never approach a hundred-percent efficiency. But Carnot misunderstood heat. He thought that heat flowed through an engine, degrading its potential for doing work, the same way water flows through a waterwheel. He thought that just as much heat left the engine as entered it. He didn't see that a large portion of the heat passing through was being converted to create the mechanical power output of the engine. So the engine was our teacher, but a confusing teacher -- maybe the best kind of teacher: Remember that instructor who never told you directly what you wanted to know? The one who teased your mind with conflicting facts? The one who made you do the sorting? As the steam engine taught us thermodynamics, it also offered a lesson to teachers everywhere. Learning is not preparing for multiple-choice tests. Learning is sifting through ambiguity. True learning is finding our own way to the other side of the obvious. Hills, R. L., Power from Steam: A History of the Stationary Steam Engines. Cambridge: Cambridge University Press, Chapter 9. My thanks to Lewis Wheeler, UH Mechanical Engineering Department, for providing this source.